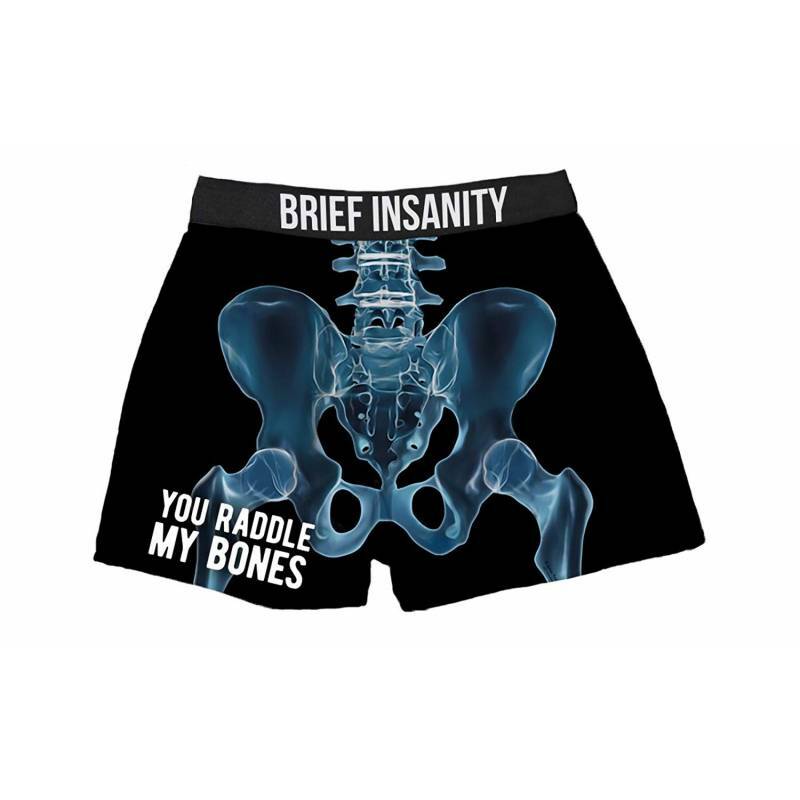 Men can now enjoy the comfort of wearing the boxer shorts underwear with a Skeleton Hip Bones printed design. All the images on these boxers are sublimated images rather than traditional screen prints which means that the designs will not fade or peel over time. These mens underwear shorts are made of innovative micro material, Cena synthetic Silk, the most comfortable boxers you will ever wear. Featuring wide leg openings and a micro-stretch waistband adds to the comfort of these novelty boxer shorts. These boxers can be machine washed in cold water and dried in the dryer on the lowest setting.